These phrases have been around for a while and are as worn out as 30-year-old band saw tires, so I feel it's our duty to coin some new ones for the good of the craft. If you come up with one, feel free to share. 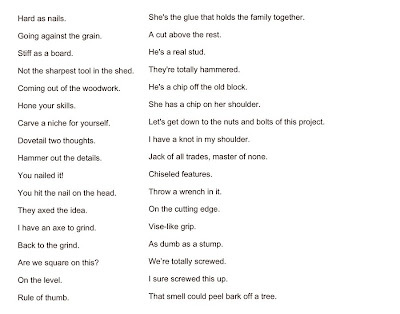 I mean, surely we couldn't have exhausted all possible woodworking clichés.